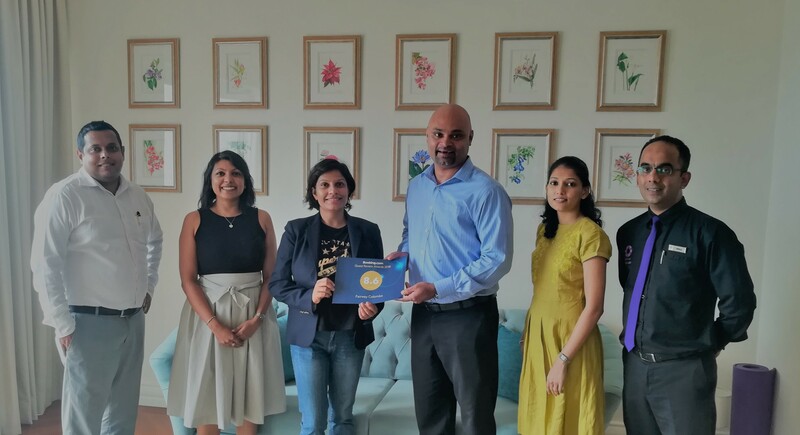 The Fairway Colombo – the most happening venue in the heart of the city – has recently been honored with not one, but two awards by Booking.com and Expedia.com respectively. The Guest Review Award by Booking.com came with an excellent 8.6/10 rating as did the Loved by Guest Award by Expedia.com. Both ratings were based on guest reviews that were given within a time span of 12 months. Located at the end of Hospital Street, the Fairway Colombo fits in perfectly with the colonial façade. However, upon entrance one is greeted by an entirely modern setting, along with the most technologically advanced features, all with the aim of conserving energy and preserving the environment. The Fairway Colombo offers guests comfort, modern luxury, hospitality and privacy. The hotel has been synonymous with the buzzing Fairway Street events, a variety of cultural and entertainment activities that regularly take place at Hospital Street including the Colombo Street Food Festival, Art & Jazz on the Street, the Fairway Colombo Cultural Show, Jam on the Street and the Street Latin Night.